I often talk about all the perks of using a travel adviser with hotels, tours, and insider knowledge, but knowledgeable air experts like us will ensure you have the best flights and connections for your itinerary. Additionally, from time to time, we will save you money by booking private fares only accessible to travel agents. I had a client last week looking for Business Class airfare for him and his wife to a major European city. Direct flights on the airlines website were $9,860 per person! In order to meet his preferred budget for the trip he needed a cheaper air option. Using our private air contracts, and preferred relationships I was able to get him the same flights for $4,325 per person! An amazing savings of over $11,000 for two tickets. Make sure you reach out to Nick Running Travel before your next trip to see all the benefits that can be added to your next vacation. Note: Savings on published airfare rates is not guaranteed for every itinerary. Air France has recently refurbished their 777’s to include new reverse herringbone seats which are currently the top of the line in privacy and comfort. Food and drinks on Air France are always top notch in keeping with their French heritage. Depending on final location this would be my preferred way to travel to Europe in business class. American may not always have the best service, food or drinks, however the seats more than make up for it on this flight. Flying overnight to Europe means that you lose a whole evening, luckily with Americans new refurbished seats on their 777, that means you get a full flat bed with lots of storage space that lets you relax and wake up rested. Delta is the Americas best airline in terms of service (vs American or United), but unfortunately they currently don’t have the best seats for sleeping besides the newly released A350 (which currently only flies to Asia). The best seats Delta currently flies to Europe is on their A330 which as of now they only fly to Amsterdam from Seattle on the West Coast. 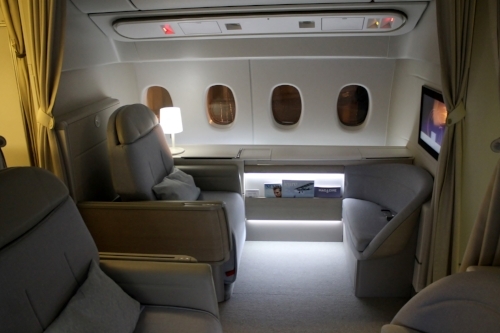 Air France didn’t just recently refurbish their business class but also first class. The seats are super luxurious with a curtain that you can close for complete privacy. Air France’s first class lounge in Paris also has a restaurant by 3 Michelin star chief Alain Ducasse. Guests are taken to their airplane by private car and escorted on-board from plane-side. 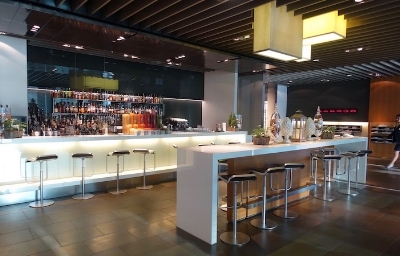 Lufthansa has a great on-board first class experience but what really separates its product from other airlines is its own terminal for passengers in Frankfurt. That’s right first class passengers have a completely separate terminal, with security and immigration all done there. In fact for a small fee they will even send over the authority to process your VAT refunds prior to departure. While waiting passengers can access a full restaurant and cigar room, all included. Hard to beat that! These recommendations are of course subjective, and while I would feel comfortable recommending these flights to anyone, personal preferences vary. Nick Running Travel would be happy to recommend flights for your itinerary that are customized to your preferences and needs. Don’t hesitate to contact us. For many people airfare is a means to an end, something you deal with to get to your final destination. Regardless of whether you are traveling for work or for pleasure there are many reasons to pay the premium on an upgraded air experience. Below are our top reasons to book, and be sure to reach out to Nick Running Travel before your next business or personal trip. We have access to non-public rates (prices you can’t find online), and every trip comes with a personal consultation to ensure we pick the flights right for you. Why spend your hard earned money on a vacation only to sleepwalk through the first few days. Don’t walk into an important business meeting still trying to recover from your time zone change. Almost all flights these days have lie flat seats that allow you to properly adjust to your time zone change. Many First Class seats even have expensive mattress pads that mimic a bed in a hotel room. There is nothing better than waking up fully rested to hit the ground running. Customers receive expedited security, lounge access and other perks to help make the airport experience more luxurious. 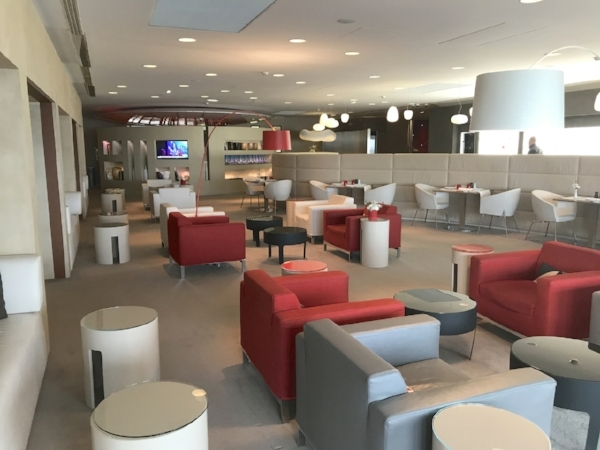 Lounges often offer free food and alcohol and are usually a much better place to spend time at the airport. Some airlines offer completely separate terminals for first class passengers and Michelin star restaurants. No more choosing between unknown red or white wines and microwave dinners. Business cabins usually offer 4-5 wine options that can retail for as high as $50 a bottle. Food is also served restaurant style, plated and normally in courses. Some airlines even go as far to have chiefs onboard cooking meals. Many first class offering included rare and high end wines retailing over $400 a bottle. 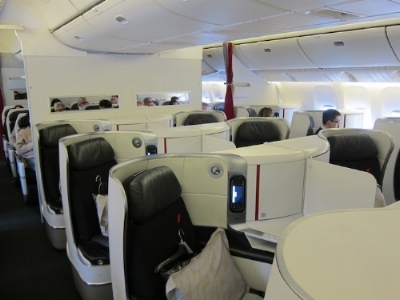 Premium cabins offer much higher service levels than economy. There are many more crew members per passenger and they often go out of their way to make sure you have a good experience. From someone to hang your jacket upon boarding, to personal delivery of pre-departure champagne, anyone who prefers a personal level of service would see value in being attended to for a long flight.